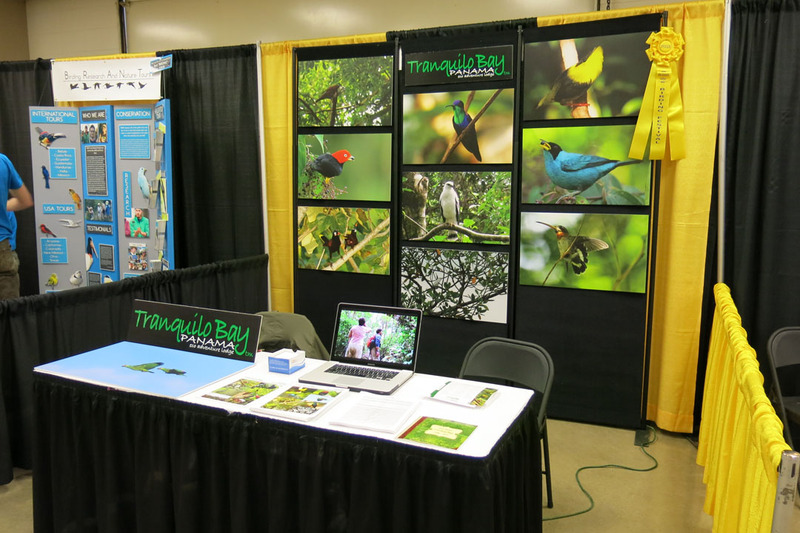 In the beginning of November 2013, Tranquilo Bay attended the Rio Grande Valley Birding Festival in Harlingen, Texas. This was the first birding festival we had ever attended and man were we surprised. I didn’t know what to expect, so I took my old friend David Moseley along for the ride. David is both a marketing expert and seasoned trade show guru who better to show me the ropes. During the festival we met so many nice folks, from industry experts exhibiting at the show, to birding hobbyist looking for a new experience. It was really surprising how many had traveled such a long distance for the festival. I think we met more people from Michigan than from Texas. You really start to get a sense that some of these folks migrate with the birds all year. The field trips organized by the festival and guided by the local and visiting talent were fantastic. David and I went to the King Ranch and saw many amazing birds including our targets, Sprague’s Pipit and walk away scope views of the Ferruginous Pygmy-Owl. Not only that, but the mammals were amazing too. We saw Bobcat, Coyote, White-tailed Deer, Impala and Nilgai. When we went to Lloyd Bentsen State Park, the Green Jays, Sandhill Cranes, Chachalacas, Osprey and Vermilion Flycatcher stole the show. The guides were amazing making everyone comfortable and handled the large groups with ease. The history lessons along the way were also well received. The event was very professional and went off without a hitch; they even seemed to alert “everyone” attending the show that a Green Kingfisher had shown up nearby. You can imagine the buzz that created being only the second known sighting in the U.S. Our hats are off to the board members and volunteers that make this thing happen every year. Tranquilo Bay will definitely be returning next year and we hope to see you there. 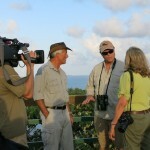 This entry was posted in Birding, Western Caribbean Slope, Wildlife by Jim. Bookmark the permalink.